Try this game and you will have a great chance to become the real wizard! Kill all these strange creatures and you will be not disappointed. Collect all the coins and bonuses and use arrow keys to move here. Just have faith in yourself and be ready to use all the skills you have. It is so easy to play! Just use arrow keys to move left and right, and walk off an edge of a platform to fall to the next. 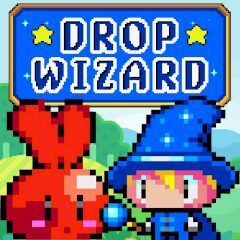 By the way, the drop won't hurt you, and upon landing, your wizard will fire off a magical blast in the direction they're facing, which will temporarily stun enemies, allowing you to walk into them and boot them off the screen. Do not forget to collect all the coins and bonuses. Just do everything perfect and you will be the real hero! Are you ready for such a challenging game? Then start it immediately!